New Flyer! PC Optimum Offers + Grocery Deals! Real Canadian Superstore Real Canadian Superstore Flyer: 15,000 PC Optimum Points for Every $100 Spent on Electronics, Home or Toys + More Deals! New Flyer! PC Optimum Offers + Grocery Deals! 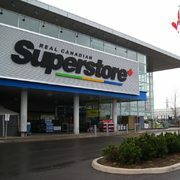 The new Real Canadian Superstore flyer is here, and you can see it now on RedFlagDeals! Flyer offers vary slightly depending on your region and we've listed a few of the offers from the Ontario flyer to help give you an idea of what's available. This flyer is effective January 17-23. Note that prices and offers will vary by region. Click here to find the store nearest you.